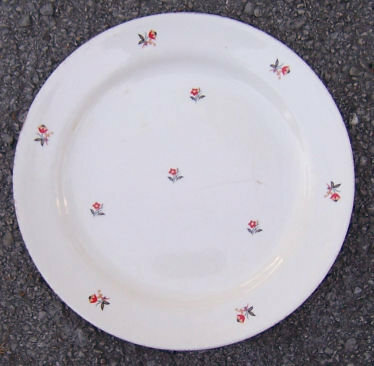 Homer Laughlin Dinner Plate. Nautilus Shape. Hand Decorated by Cunningham and Pickett, Alliance, Ohio, Cardinal Design. Plate is 9 1/2" across. Good condition, Gold is worn at edges, hairline in center. 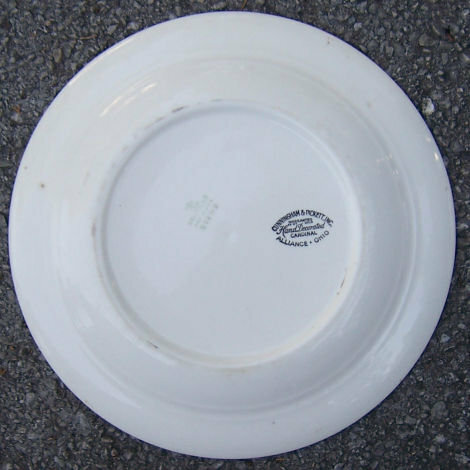 Items Similar To "Homer Laughlin Nautilus Cardinal Decorated Plate"